In my dad’s view, a holiday only truly gets underway when he’s in the airport departure area and can spend an hour browsing in the bookshop. Buying a new novel is as much part of the holiday ritual as the pre-holiday haircut was for me when I was a mere sprog. I’m not really sure why it mattered so much to my mother that the esteemed citizens of Southsea or Bournemouth and later Majorca, should not see me with unkempt hair. 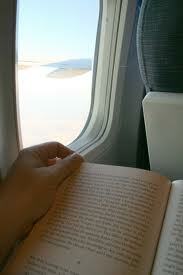 But matter it did, just as it matters to my dad that he has a good book to read on the flight. It’s one of the characteristics he’s definitely passed down the generations since I too very rarely leave UK without at least one purchase before boarding. Wind the clock back a century or more and the linkage between travel and reading seems to have been as strong then as it is for my dad today. Except of course that your average Victorian traveller was buying their reading matter at the railway station not the yet-to-be-invented airport. The story of how the age of the railways transformed many aspects of our lives — from timekeeping to mail delivery and the advent of fresher food — is well documented. But it seems the railways were also responsible for changing reading habits. The first passenger service in the UK opened in 1825 between Stockton and Darlington. Five years later the first inter-city rail line opened to connect Liverpool and Manchester. From then, progress was rapid. By 1850, Victorian engineers had constructed more than 7,000 miles of track, making it possible to get to almost every sizeable town by train. For newspaper and magazine publishers, it meant access to a rapid way of getting up to date information to readers well beyond the capital city. Before railways, it would have taken about 30 hours to get a newspaper printed in London to readers in Hull; by 1845 it took just eight hours. It meant newspapers, magazines, and other periodicals could be printed in London and then whisked to Hull or any other major city on the same day so the information would still be news when it arrived. As a result, a truly national newspaper industry was born in the UK as indeed in many other European countries. It didn’t happen the same way in North America though — with the exception of USA Today, American readers have held very much to the tradition of regional newspapers. Railways offered a fast, efficient, and inexpensive way to enjoy time off which meant families could enjoy days at the seaside or visit relatives more easily than before. As the novelty wore off a little and they got tired of looking out of the window at passing scenery, these travellers sought other diversions. Newspaper publishers were quick to seize on the opportunity of such a captive market, opening newstands at major railway stations. The firm of W H Smith, which had been sending newspapers to the provinces by mail coach, was one of the earliest to grab a slice of the market, opening their first railway newstand at London’s Euston station in 1848. But newspapers weren’t enough for these fickle readers. Newspapers didn’t fit easily into the pocket and were hard to open in a crowded carriage. What they wanted was portable reading. The paperback novel was the the ideal solution for crowded rail carriages, just as it is today though we also have e-readers and smartphones to help while away a journey. If a novel printed in paperback format was the perfect travelling companion, where could be easier to buy one than on the platform just before you boarded the train? The smart brains at W. H Smith latched onto the idea by extending their newspaper business to include books, and opening more and more outlets. The era of the railway bookstore was born. W H Smith may have gone through many incarnations since but they’re still at every major railway station and airport in the UK. 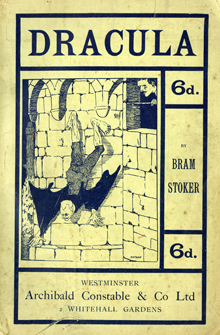 Publishers too saw they were onto a good thing and began rushing out cheap editions of popular works of fiction specifically for sale to entertainment-seeking travellers that they could pick up for a shilling or two, and even less, at the W H Smith railway bookstalls. Some publishers brought out special series with titles that made their target market very clear , ‘Longman’s Traveller’s Library’. Others capitalised on the increasing desire for sensational reading material with titles like Zingra, the Gypsy but it was an engraver by the name of Edmund Evans who was responsible for a publishing phenomena uniquely associated with the railways – the yellow paperback . Evans combined sensationalised illustrations with a lurid yellow glaze that meant the covers were instantly recognisable at the bookstall. Thousands of what became known as yellowbacks, were published from about 1850 featuring detective stories and authors like Wilkie Collins, Jane Austen and Anthony Trollope. The publisher Routledge alone produced more than 1,200 titles in a ‘Railway Library’ series. You can buy some of these titles as original copies today though they’ll cost you rather more than the cover price of a shilling. Abe Books has a few available though the cheapest seems to be around £55 and some titles are upwards of £300. Posted on May 13, 2013, in History of the novel and tagged English novel, history of the novel, yellowbacks. Bookmark the permalink. 4 Comments. We have a wonderful picture in the art gallery in Birmingham of two Victorian ladies in a train one of whom is reading. If you ever come to the city I will take you and show you. You’re always welcome. If you find yourself the way just let me know.